Student housing is probably the best-kept secret in Philadelphia real estate investment. What differentiates student housing from other Philadelphia real estate transactions is the fact that it offers more stability than the others. As students being to make their way back to school, you might want to start shopping around for brand new properties to boost your portfolio. Philadelphia property offers a lot of diversification and student housing is one lucrative sector that has been under the radar for a while now. Joe White further says “On the private side, we’re seeing a tremendous amount of rental property investment in that asset class,” although real estate investors have always found it difficult to get access through the public markets. However, they’re gradually getting rid of the entry barriers for regular investors. So if you’re ready to branch into student housing, here are a few things you need to know. It can give you some consistency. With student housing, you can enjoy some level of stability which is lacking in other real estate departments, especially when the market is very volatile. There’s some truth to this even in a bad economy. If you’ve been worried about the possibility of recession or instability in the market, this ought to reassure you. Philadelphia student housing offers the kind of predictability that may be lacking in other sectors. Lease renewals are usually easier to obtain with student housing since students are usually aware of their resumption date in advance. However, it is not without its own risks. High profit potential. If the demand for student housing is consistent enough, it could pave way for strong rental investment returns. Location also has a lot of influence on student housing profitability. The rates for student housing are sometimes higher than the rates for regular residential areas depending on the location of the property. “Neighborhoods near college campuses tend to be more expensive than surrounding areas because of their proximity to campus,” says White. You might need to factor in the cost of management and maintenance if you’re not the one overseeing the rental property. You must also prepare yourself for the stress that comes with renting to younger people. According to White who is responsible for several student housing units within Philadelphia, their maturity and volatility is the biggest issue with having young adults and teenagers as tenants. He also feels patience is key to surviving the experience. Avoid the student housing hassle through indirect investments. If you cannot handle the stress of renting out your property to students; real estate investment trusts, real estate crowdfunding or exchange-traded funds, are great investment alternatives. According to White, public student housing REITS is a great way to gain some exposure in that sector considering the fact that their portfolios are large and diversified and solely focused on campus, with great ties to the university. Liquidity happens to be an added bonus. 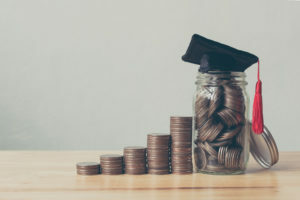 He stated that “Public student housing REITs also reduce economic sensitivity by partnering with some of the highest quality universities that see less fluctuation in enrollment.” Student housing REITs for June had an average return of about 14.34% to date. REITs will offer you the same benefits as direct ownership. Inflationary hedge, dividend-based income, favorable tax treatment, appreciation and diversification are examples of such benefits. You can get similar benefits from real estate crowdfunding, which also offers increased accessibility. You can also invest with something as little as $500 to $1,000 on some real estate crowdfunding platforms. This is actually a great discount compared to the regular five to six figure minimums associated with most private student housing investments. White is of the opinion that your choice of student housing is largely dependent on the type of investment you’re interested in.